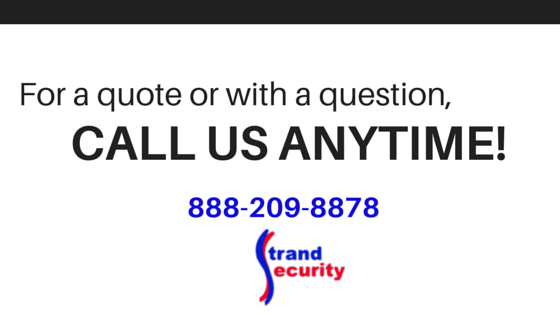 We at Strand Security, as business owners, know first-hand that opening a business is no small feat. When you open a business, it is like gaining a new family member; you want to protect it and nurture it and watch it grow. Whether it is a security company like ours, or a restaurant; the concerns we have are very similar. 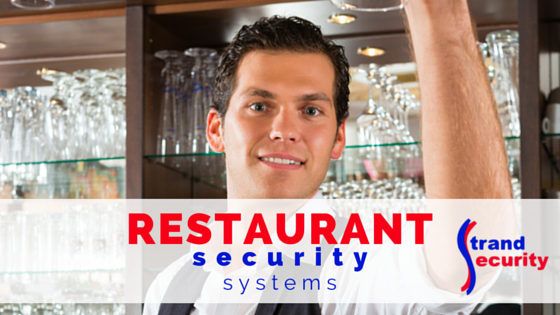 We at Strand Security would like to share some industry-specific tips for security systems for restaurants, as many of our customers here in the Myrtle Beach area are restaurant owners. We know there is huge competition in the restaurant industry in Myrtle Beach. Therefore, protecting every aspect of the business is important. Running a restaurant is complicated! You have staff including waiters, cooks, managers, bartenders and more. How many staff members handle cash and credit cards? Every waiter and bartender are constantly handling your money, right? Unfortunately, it is far too easy for money to be stolen in the restaurant business. Annual revenue loss due to employee theft can shut down a small business. That is why we highly recommend installing security cameras as a precautionary measure. We recommend a camera facing each cash register throughout the restaurant. Install cameras in the bar of your restaurant. Unfortunately, not every bartender goes by your restaurant rules. Whatever rules you’ve set for your bartenders; no to drinking during the shift and no to giving out free drinks to their favorite customers, with cameras you can monitor and then enforce your rules. Alcohol has a large markup and that is money out of your pocket if you aren’t aware of what’s going on. Cameras in the kitchen! Are you sure your cooks are living up to local regulations? Are they cleaning properly? Are they preparing food properly? The last thing any restaurant owner wants, is to be written up and publicly humiliated in the local paper for bad kitchen habits. That alone could destroy your business, never mind being shut down by the health department. Cameras will help enforce regulations. Hopefully, you do not need to use the security cameras to catch your employees in acts of defiance. But when it comes down to it, it is better to be safe than sorry. You will also have proof which will help you should you need to fire someone. One more benefit; when people know they are being watched, they are less likely to act on impulses. Just like you need to monitor your staff, you will also want to monitor your serving area and your customers. We recommend installing cameras in the bar area! Cameras may help resolve a dispute with an unruly customer, whether they had one too many drinks, or get in a fight. 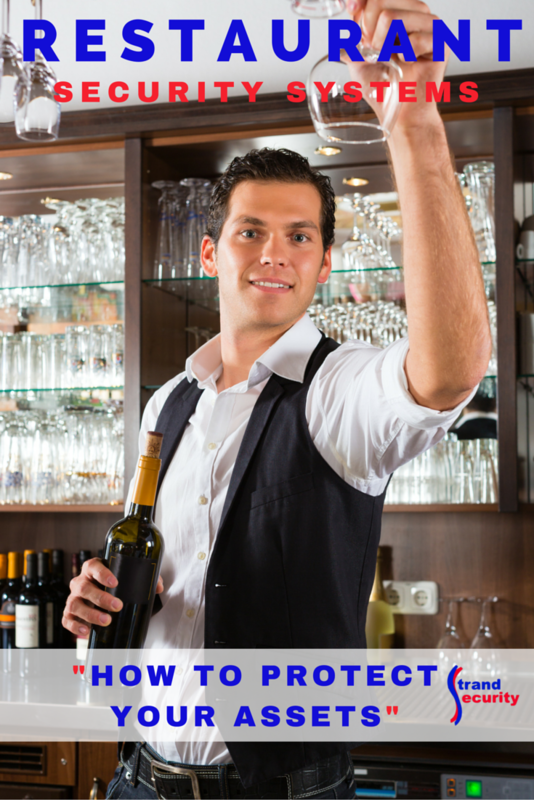 Having cameras in the bar area will definitely help to protect your bartender. Cameras throughout the dining area will help you monitor wait staff and customer alike. How often do people dine and dash (leave without paying) or steal tips left on the table? You will know exactly how often, if you have cameras. You know how they say the customer is always right; a security camera may be your only way to prove they are wrong! Who knows what is lurking outside after the lights are turned off and the doors are locked, right? Parking lots are scary places. You and your closing staff will feel more secure knowing there are cameras at every angle on the outside of your restaurant, as well as an alarm system. Did you know you can watch your employees and customers from the comfort of your home if you have Honeywell Total Connect™? You can monitor your business, your employees and your customers on your favorite device, wherever you are. Go home, take a break! If security systems are put in place, you will protect your investment, your employees, customers and your overall sense of well-being. « Keeping You and Your Home Safe From Burglars; What You Need To Know!